Welcome to M3! We are a group of real Moms, with real kids who have good days and bad days, ups and downs. We are striving to connect with one another in the joys and challenges of parenthood, knowing that God will gently lead us in this extraordinary task of being a Mom. Maybe you are a mother of a new baby finding yourself drifting off from exhaustion the second your eyes close for a prayer, let alone having time for a devotion. Maybe you are frantically shuttling busy kids from activity to activity and feel like you are being pulled in a million different directions. Maybe you are juggling work in and out of the home and can’t find a moment for yourself. Maybe you’ve tried unsuccessfully to have an adult conversation while your toddler is upset about....well anything! 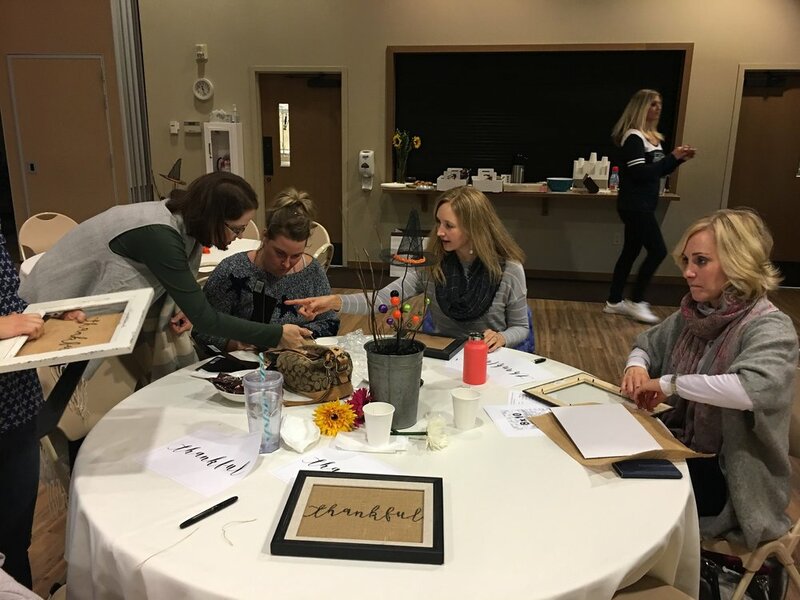 This is your weekly “breather”; a time to renew and refresh so you can charge ahead with joy, peace, and faith in your incredible role as a mother all while making lasting friendships and finding support in one another. Join us Thursday mornings from September 20th through May 23rd from 9:45-11:30am. Each week we enjoy a light breakfast, delicious coffee, prayer time, and great conversations with moms. 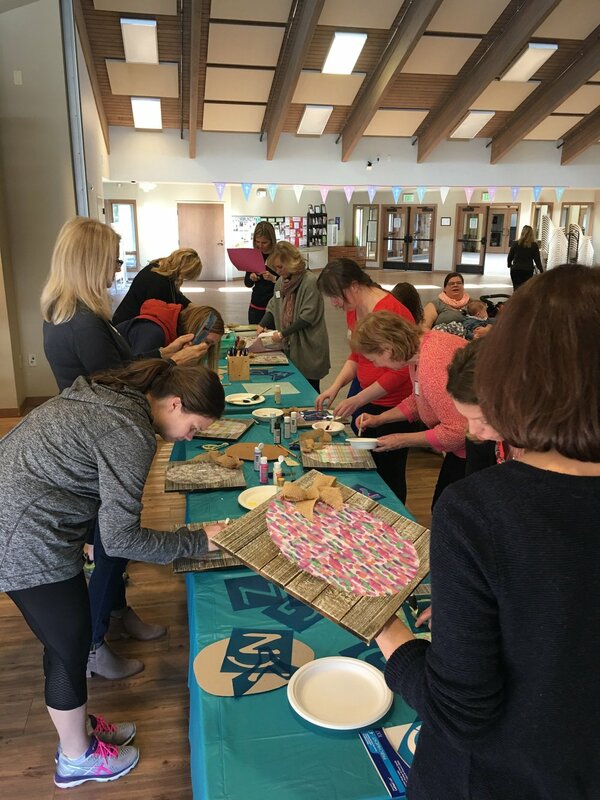 Throughout the year we do a variety of things on Thursday mornings that include crafts, speakers, Bible studies, service projects, and a variety of other things. Mothers of all aged children are welcome and you do not need to be a member of HSLC. 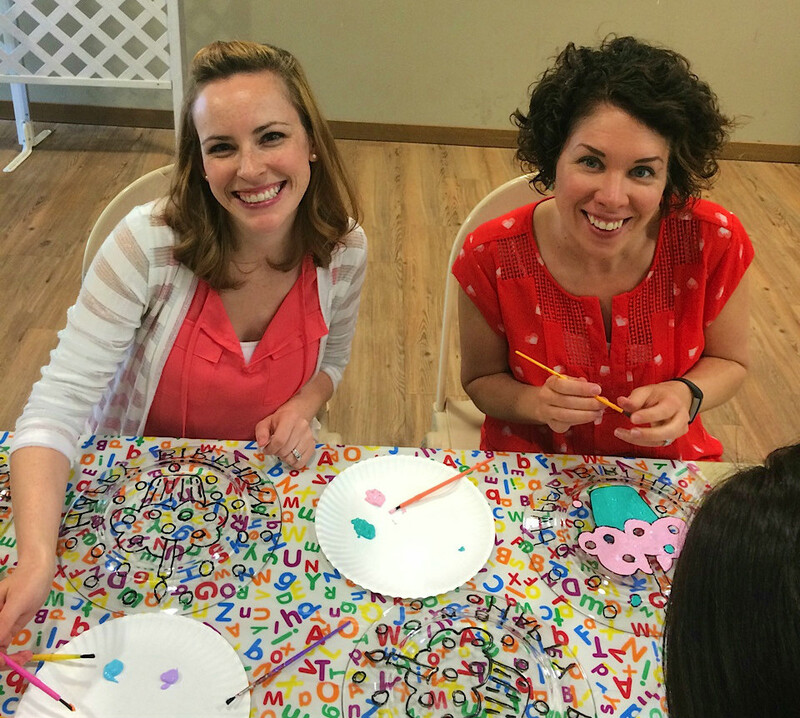 Moms with kids 6 weeks or older have the opportunity to use our experienced childcare to ensure your kids are having fun while you spend time connecting with other Moms. Babies are always welcome to stay with their mom while we meet. May 23: End of the year party!